You want to get the input using textbox in your ASP.Net MVC application. And you want to get that value in your controller’s action method for saving it to database or for further processing. The above statement is true irrespective of the technology that you use for building web applications. All web technologies such as ASP.Net Web Forms, ASP.Net MVC, Ruby on Rails generate the HTML dynamically as browser cannot understand your C# code or Ruby code. Having this fact reframes the problem at our hand. The browser can understand only html textbox input (<input type=”text”>). How can we generate this input text HTML element and get the data back easily and effectively in ASP.Net MVC application? In this method, we are going to use plain HTML elements in our View for getting the input. I’ve added the view for the same – just a form to hold the html input text box and submit button. These are just plain HTML elements and have nothing to do with ASP.Net MVC. We are not doing anything special here – just getting the username from the submitted form and displaying it back again to the user. Model binding tries to match the value from your view to controller action method parameters. It does this by looking into many sources – from your html element names, route values etc.. But we are going to giving hint Model binding by giving same name attribute to your action parameter method name. Let us try to do the same with HTML Helpers. 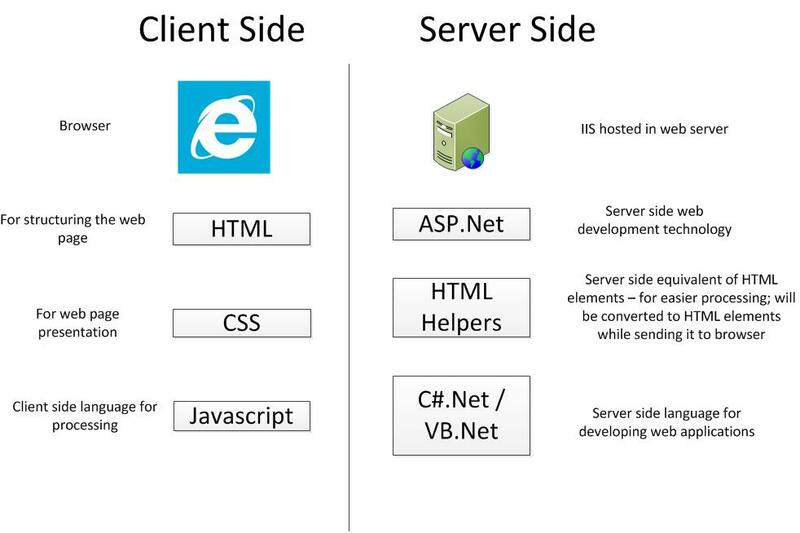 As the name implies HTML Helpers are just helpers – they help us in generating the HTML. TextBox – This html helper would generate the input element of type text. The benefit of using HTML helper instead of plain HTML element is that it would use the parameter passed for name and id attribute of generated HTML element. This would prevent us in making any typo issues such as specifying incorrect name value or specifying it in id attribute instead of name attribute in your html element. The POST action method is no different. You just need to mention the same name in action method parameter. If you are getting only couple of temporary values from user, using HTML Helpers would do. If you want to get some information backed by your model, you would use HTML helpers with model for the same. HTML Helpers with models would generate the correct html based on the passed model information. And View has the following content. The first line tells the view that what type of model you are passing. This information is needed for strong typing in using model information.